The cladding contractor design programme is the most important initial document for review. This allows the team to coordinate with the cladding contractor in a meaningful way and assists greatly in the smooth development of the design. This is particularly important where multiple cladding contractors are involved and the coordination between these programmes is essential to avoid unnecessary delays. Contractor design workshops are encouraged as a concise method of working. This must include coordination sessions with multiple cladding contractors where present. We aim to establish key designer relationships to allow clear and easy lines of communication for faster simpler resolution of issues. This is essential for complex detail or engineering issues where direct discussions is necessary to achieve prompt resolution. The first period for all packages will be the System design. This is a critical period and one in which the design team know the project better than the cladding contractor team and need to impart that information into the developing design. The understanding of individual interfaces developed during the earlier stages is essential for the design of the systems to be carried out correctly. We take a very hands on approach to this critical high level design period and expect the contractor to produce details and detailed structural and thermal analysis of the systems proposed. We like to have System design as a stage within the programme so that this can be seen as the milestone that it undoubtedly is. Once this stage is completed the detailed information is developed for the variations around the project. Our familiarity with the systems then allows the review to be carried out efficiently and in detail. We encourage the cladding contractors to prepare schedules of their design works for circulation to the team indicating progress and status. If these are not forthcoming we have prepared simplified versions ourselves to allow us to monitor the design process and to assist in the concurrent development of the differing strands of the design. We encourage early submission of materials information. This is often difficult to achieve as it can limit the commercial opportunities for the cladding contractors. However it does allow essential assessment of the materials for their performance and their compatibility with each other. This is particularly important for items that are the link between cladding packages where compatibility checking takes greater time. Early factory visits to potential key suppliers would be carried out at this time. This would include the glass processor which is always key to the project’s success. Quality samples submission should then follow and allow the early agreement of the acceptance criteria and make sure that the suppliers are fully aware of the quality requirements of the specification. Prototype testing is a key stage of the project. With residential buildings it is likely that there will be interfaces between different cladding contractors and this will be the first time they have put their respective designs together. 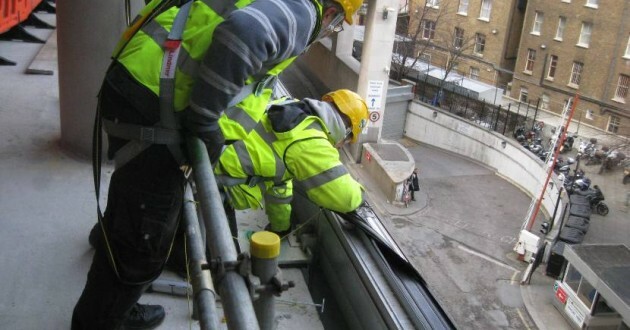 We generally insist on testing within the uk, this may take a little longer for non-uk contractors, but will involve the installers who will be carrying out the installation on site. It is vital that this is used as a learning exercise for construction as well as a confirmation of performance. 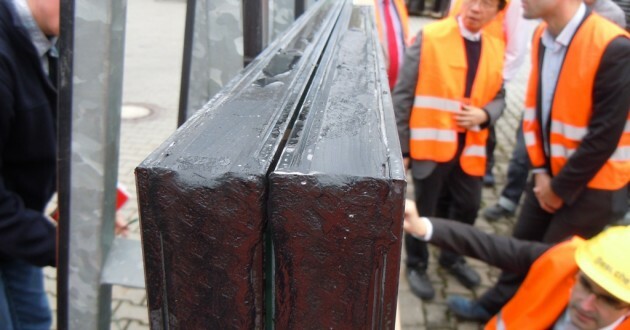 We always attend the dismantle as this is a key to the assembly and confirms that the installation was carried out in accordance with the design – or not. We usually provide an initial report on testing. This allows the project to move forward with confidence that the test has passed, whilst the test house completes their report. Glass processing factories are visited to review the first batch ahead of a large order. An earlier visit can also prove beneficial to be sure that the quality requirements are fully understood and will be adhered to. Key areas are edge quality and the visual acceptance criteria. We have developed a clear methodology for confirming agreement of visual acceptance criteria as this is currently proving to be problematic with many processors due to the variability of bespoke orders. We would expect to carry out assembly Factory visits early on in the production. This allows review of the components being procured as well as the assembly processes and quality. Most importantly, it can catch any errors early on in the production, where they are most likely to occur. Factory visit reports and issues logs are prepared and used as a tool to allow confirmation that the issues are dealt with and closed out promptly. 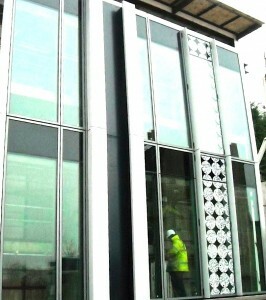 Pre-installation review of components is carried out during our site visits. These allow close inspection of elements which may only be reviewed much later from the BMU when it is available. We take a proactive approach to site, raising issues as soon as they become apparent to us even on incomplete works. This is to prevent repetitive errors occurring through the works. Our aim on site is to be part of the delivery team, assisting to maintain the quality and resolving difficult issues. We understand the complexities of site and the pressures of programme and we engage actively in the resolution of site issues. Our people have all learned that our early intervention and close involvement gives quicker resolution to issues and ultimately delivers our clients a better product.